We’ve been walking for a bit over an hour and the armed rangers tell us we’re close. We stop to put on our disposable face masks: we need to keep the germs to ourselves. Again I check that the camera settings are correct and off we go. Two minutes later, my heart stops: there he is, sitting casually, looking at us unimpressed for a second and then he goes back to munching on some leaves. 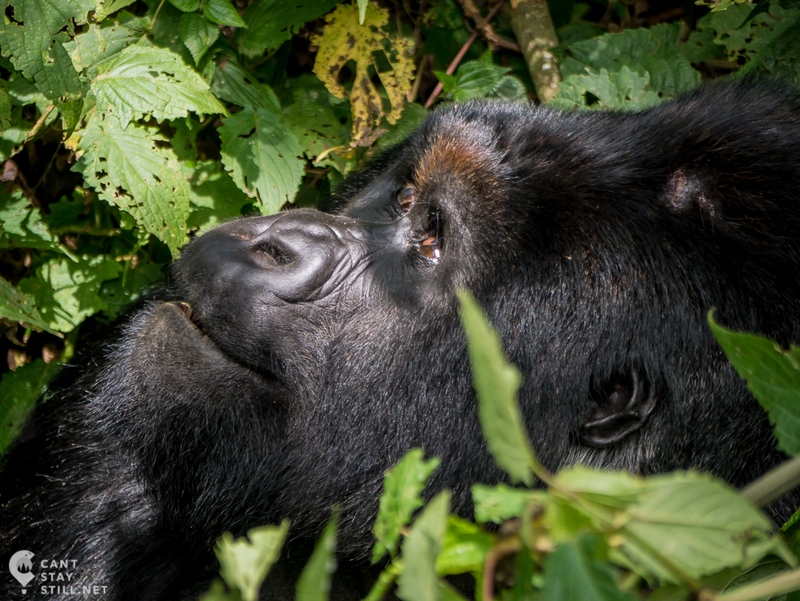 I’m standing few meters away from a huge silverback mountain gorilla in the Virunga National Park, D.R. Congo. 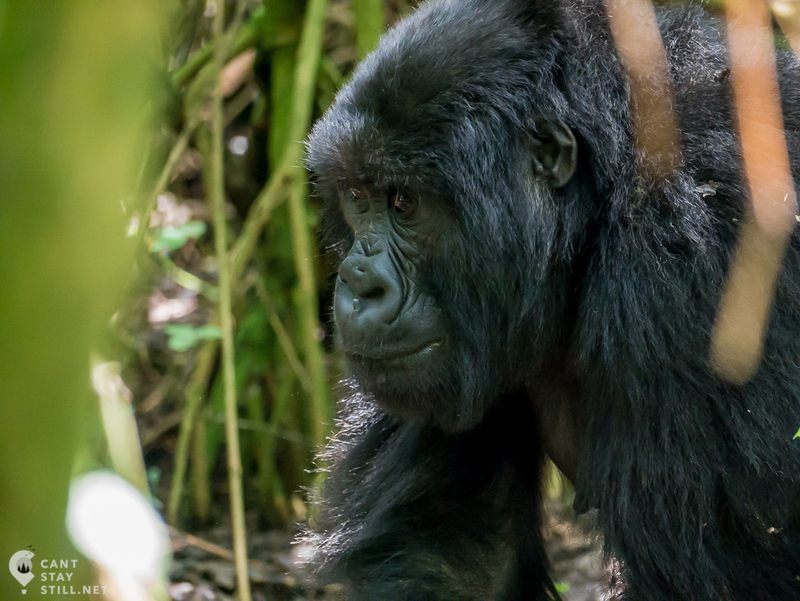 The silverback is the leader and protector of the family and, by the wounds this one has on the arm and head, it looks like he had to fend off some intruders in the not-so-distant past. 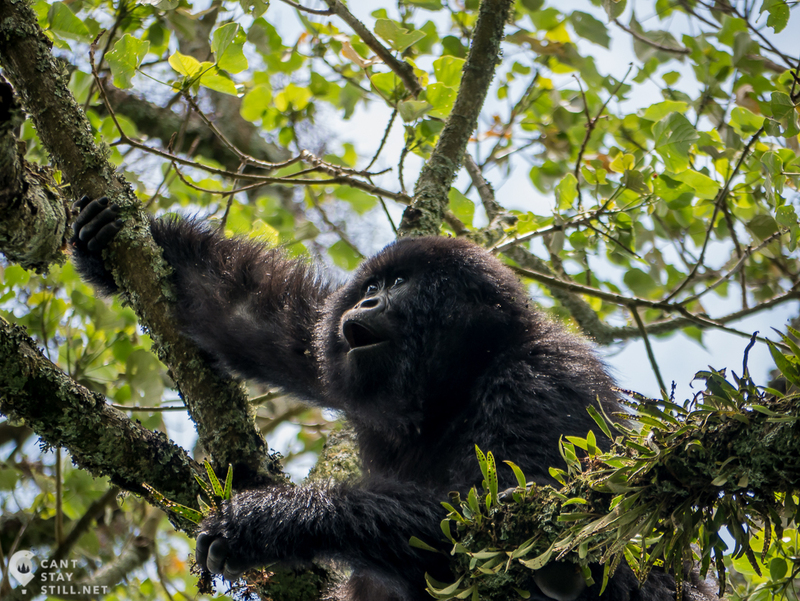 A mother carrying her child is up in a tree and starts descending. As she touches the ground, I realize I’m standing in her path and do my best to move out of the way. But the vegetation is too dense for me to go anywhere and, holding my breath, I pretend I’m invisible as she strolls 5 inches away from my leg. It worked: she didn’t even notice me. The rest of the gang is going about their day, picking their favorite foods from the generous bushes; a baby is playing clumsily, still insecure in her movements; a curious juvenile is discovering the world. 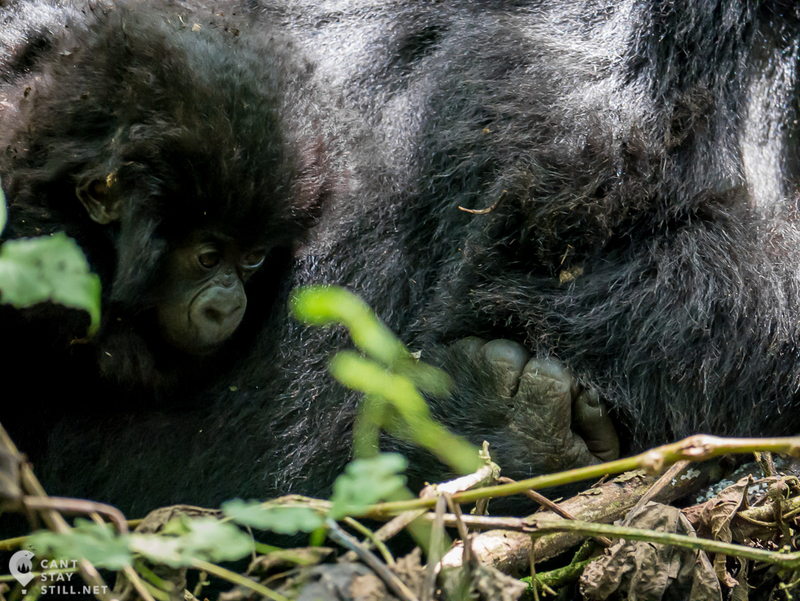 The mother takes her baby by the hand and walks further into the bushes; a shy silverback watches us from the distance with gentle curiosity in his eyes; I stand in awe at the similarities with humans that I find in each of their moves and in the look in their eyes. The hike is easy but it can get muddy and long pants are your best bet against thorny plants and fire ants. 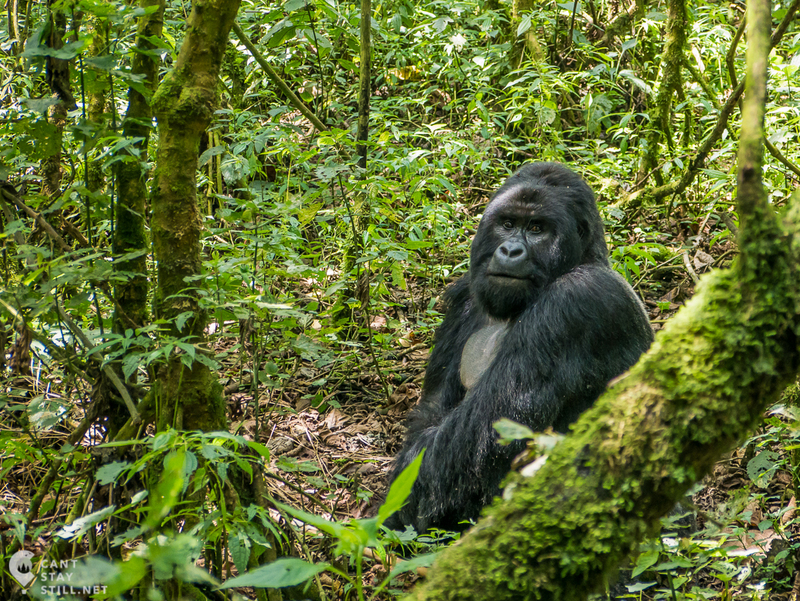 Humans are not allowed to get closer than 7m (~23ft) to the gorillas but the gorillas might get closer than that to the humans. Enjoy it! 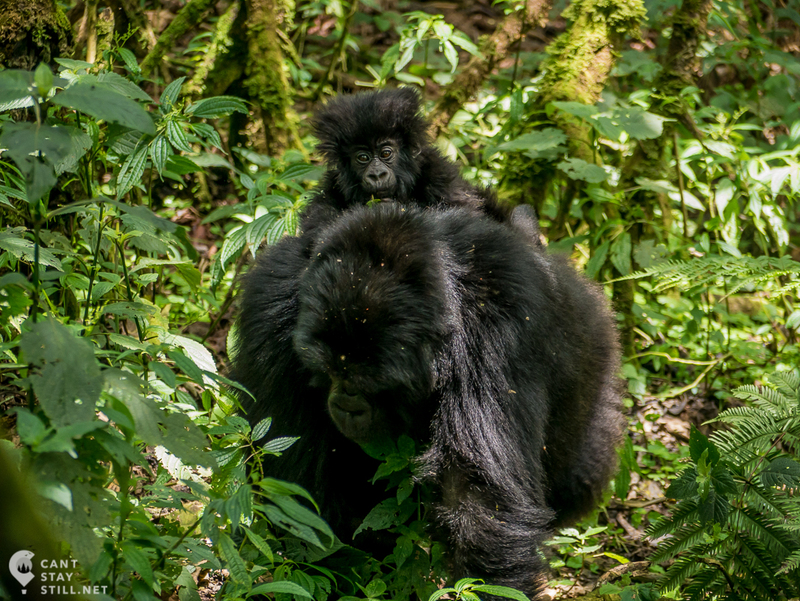 Always keep an eye on your guide and follow their lead as they will know if there’s any danger in the situation (for you or the gorillas). 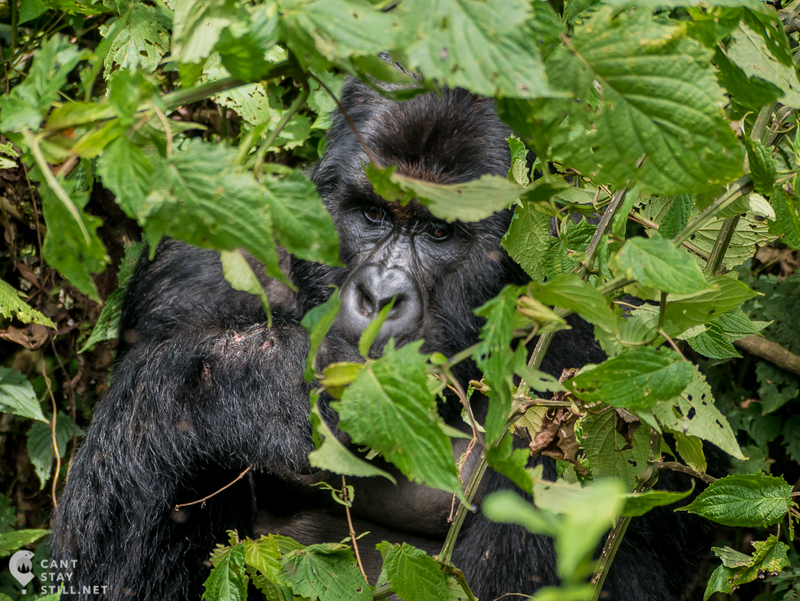 You will be wearing disposable face masks (provided at the park office) at all time while the gorillas are in sight to avoid passing on any human diseases. 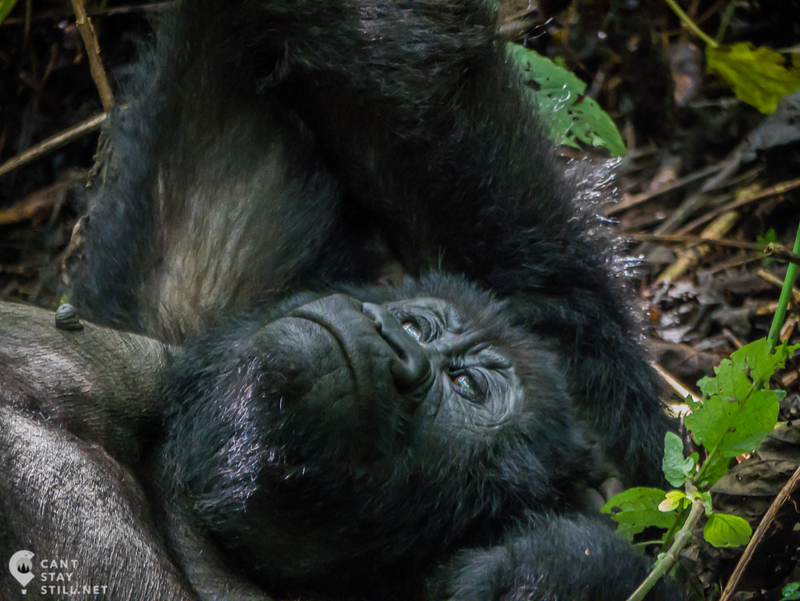 The time spent with the gorillas is one hour. The guides will give you the full briefing regarding dos and don’ts. 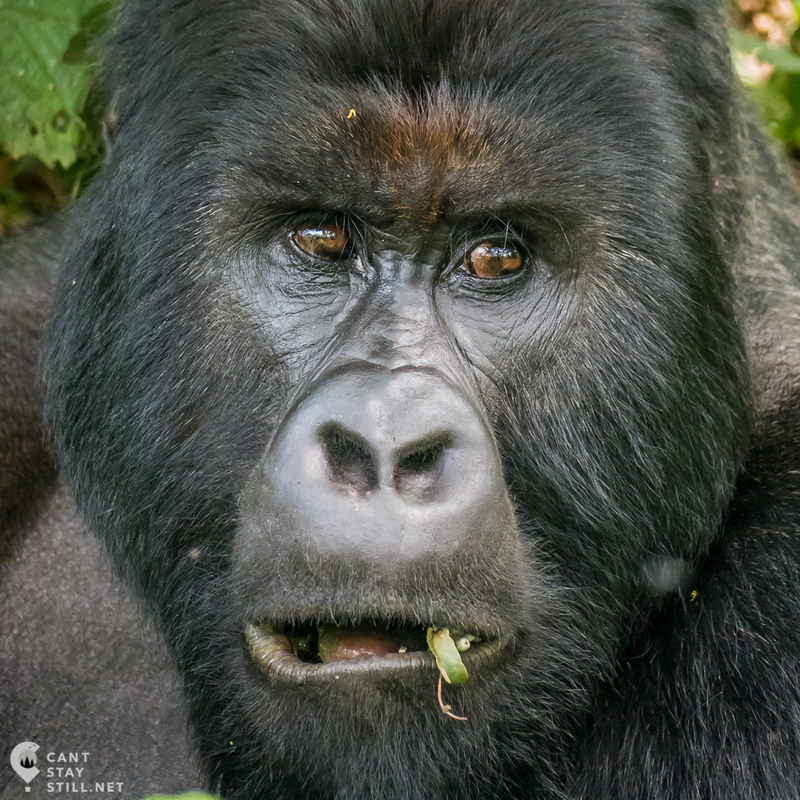 Like what to do if any of the gorillas get aggressive or how you’re not supposed to eat around them cause they are curious and will want to share. The rebel kid inside me really wanted to take out the cookies but the responsible adult that I am knew that’s a bad idea for myself, the gorillas and future visitors. 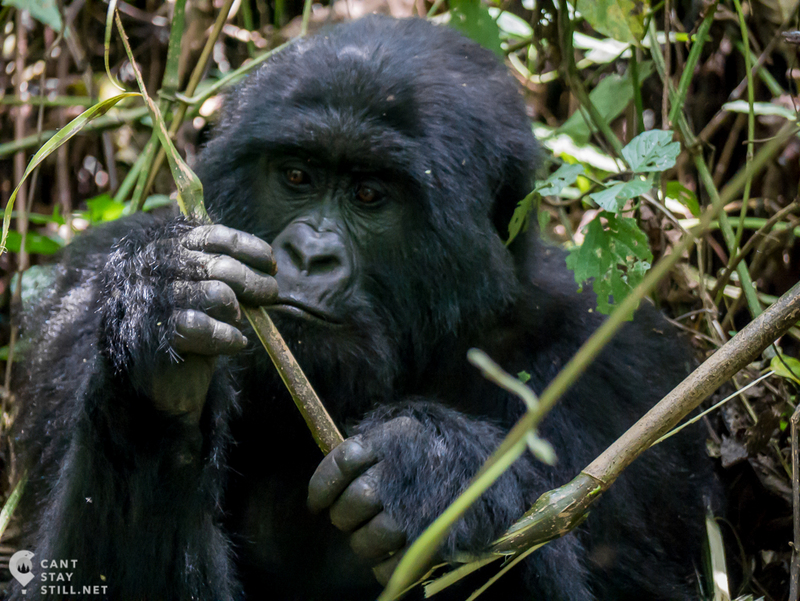 The mountain gorillas are critically endangered. The best way to support the park is by visiting. A donation is also greatly appreciated and put to good use in conservation efforts. 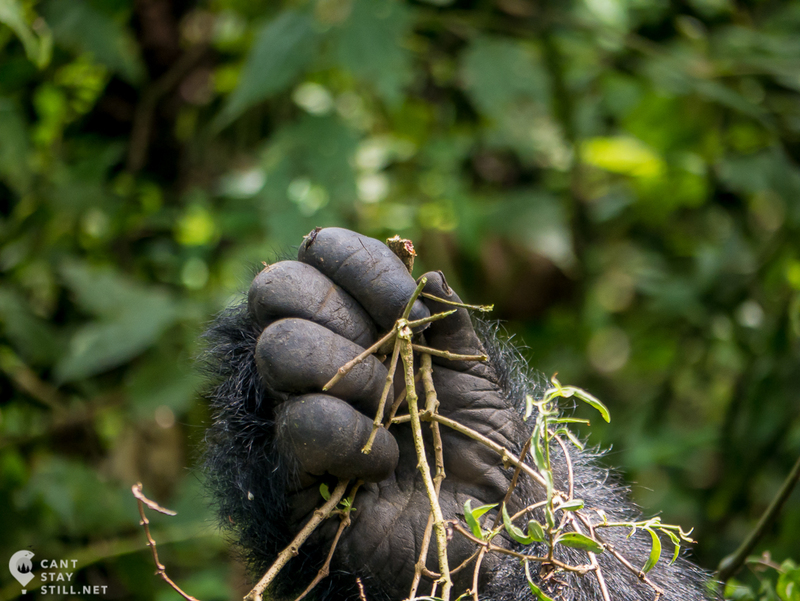 The gentleness of these giants will stay with you forever!